Main Street Delaware’s September First Friday will feature the sixth annual Pet Walk. Tickets for the treat walk through downtown Delaware cost $10 each and are available at www.mainstreetdelaware.com. The walk will begin at the Main Street Delaware tent at Sandusky and Winter streets. Registered pets will be photographed as they check in for posting in a Main Street Delaware Facebook album. Each entrant receives a treasure map to businesses providing special treats along with a doggie bag to collect their loot. The BIA Parade of Homes is planned for Sept. 2-17 at Cheshire Woods in Berkshire Township. Nine homes will be featured during this year’s parade. Houses will be open from 11 a.m. to 7 p.m. Monday through Saturday and from 11 a.m. to 5 p.m. Sunday during the event. For information, call 614-891-0575 or email info@biapare.com. The 2017 Little Brown Jog is scheduled for Sunday, Sept. 3 at the Delaware County Fairgrounds. The kids fun run starts at 9 a.m. followed by the adult 5K at 9:30 a.m. All proceeds benefit the People In Need, Inc. of Delaware County emergency services program. To register, visit racepenguin.com/events/littlebrownjog. For information about People In Need, visit www.delawarepeopleinneed.org. 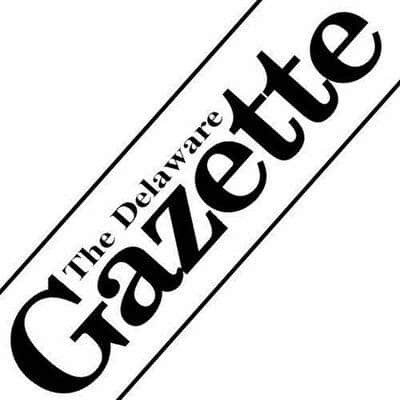 The Delaware County Engineer announced that Blaney Road will be closed through Thursday, Aug. 31 for a culvert replacement project. The portion of roadway affected by the closure is between State Route 61 and Rosecrans Road. For information about road construction in Delaware County, visit www.delawarecountyengineer.org.